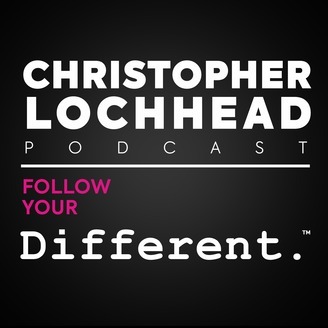 Christopher Lochhead Follow Your Different™ is a celebration of people, ideas and companies that stand out. A leader in the category “dialogue podcasts,” it feels like eavesdropping on a surprisingly captivating, candid, insightful, no-BS and conversation. 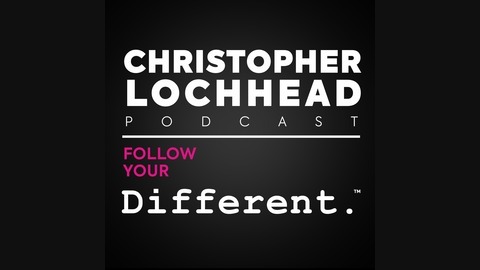 Lochhead features legends who’s name you know. And every day legends who you’ll love getting to know. New York Times Bestselling author Hal Elrod calls it “one of the best podcasts of all time”, NBA Legend Bill Walton calls Lochhead “an exploding star – a quasar across the sky”, Fast Company Magazine calls him “a human exclamation point”, The Marketing Journal says he’s “one of the best minds in marketing” and The Economist says he’s, “off-putting to some”. Today, one of the best-selling self-help authors of all time, Hal Elrold sits with us. We unpack his brand new book, The Miracle Equation and talk about his life-changing story after beating cancer. Listen and believe that miracles do happen. Hal created this equation 6 years prior to the Miracle Morning as a concept that he has been practicing and teaching in a company that he worked for. This is the formula that he used to beat cancer. Anything is possible, but possible is not enough to get us up in the morning. His unwavering faith and extraordinary effort are his biggest decisions that helped him achieve his goal. gap and by reinforcing that which he called the “Miracle Mantra”. This is not a one-time decision. It is a fundamental way of approaching our life in every challenge we encounter and in every goal that we set. To hear more about Hal, one of the best-selling self-help authors of all time, download and listen to this episode.